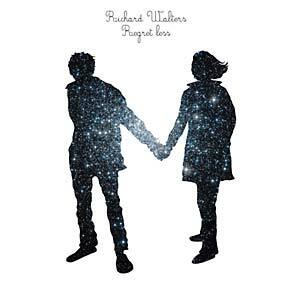 Richard Walters returns with his third album Regret Less, following up 2011's Pacing (written and recorded with Bernard Butler) and his critically-acclaimed 2009 debut The Animal. Having shed so much in his life -- girlfriend, home, manager, record company, publishing company, Richard went into the studio with a greater confidence than before, and the result is an album that takes the bare, brittle and "uncertain" bones of his past life and fleshes them out with true musical and lyrical conviction. In between working on his own material, Walters has also found time for other projects including co-writing "Eyes Out for You" on Joe Henry's latest record Reverie, collaborating with Grammy-nominated producer Morgan Page on his new album In the Air, as well as gaining an intense, yet rather surprising following in the contemporary dance world arising from the repeated use of his songs on U.S. TV show So You Think You Can Dance?.